Join us as we return to The Eyreville Site (VA Site 44NH0507) in Northampton County, located along the beautiful Chesapeake Bay and easily reached from Route 13. Eyreville was an extensive plantation dating from the late 17th–19th centuries. There are extant structures – including the main plantation house – ruins, other features, and middens throughout the site area. This year, we intend to test a part of the site that lies to the west of the main house. 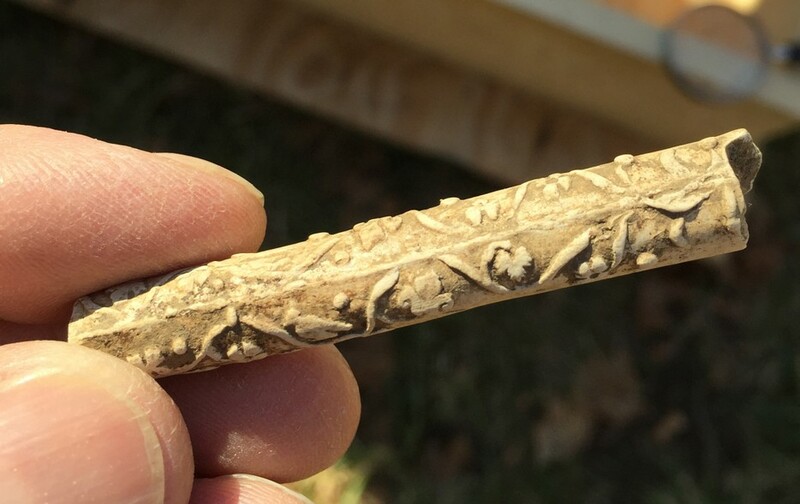 During last year’s field school, the removal of a tree stump revealed numerous artifacts dating to the 17th century, including rose head nails, bricks, blue and grey stoneware, tin-glazed ware, gin and wine bottle fragments, and numerous pipe stems. We also located numerous other features, including an 18th-century brick foundation, a buried hearth, many oyster-filled features, a brick walkway, and a plethora of other, noteworthy, historic features. The excavations this spring will emphasize our view and our understanding of diachronic changes through time by illustrating fluctuations and variations in both architecture and material culture. The field school timing in early spring will avoid the influx of insects and the hot, humid weather. Work will begin at 8:30 am and shut down by 4:30 pm. Excavation will likely be prone to the vagaries of the Chesapeake weather. There is also much to see and do in this area in your hours “off the clock:” outdoor site-seeing, visits to prehistoric sites and historic battlefields, and, if you like blue crab, this is your place! See you this spring!